We adore Japanese food and nothing beats fresh sushi whether it’s served up near Omi-Cho in the coastal city of Kanazawa or in a tiny sushi restaurant outside Tokyo’s famous fish market. To be honest we’ve had some amazing sushi all across the country. We adore the simplicity and delicate flavours and couldn’t bear to only enjoy it on holiday. That means not only do we seek out good Japanese cuisine in restaurants and sushi bars in Brisbane and other places we travel but I regularly attempt to recreate dishes that we’ve enjoyed using locally available produce. 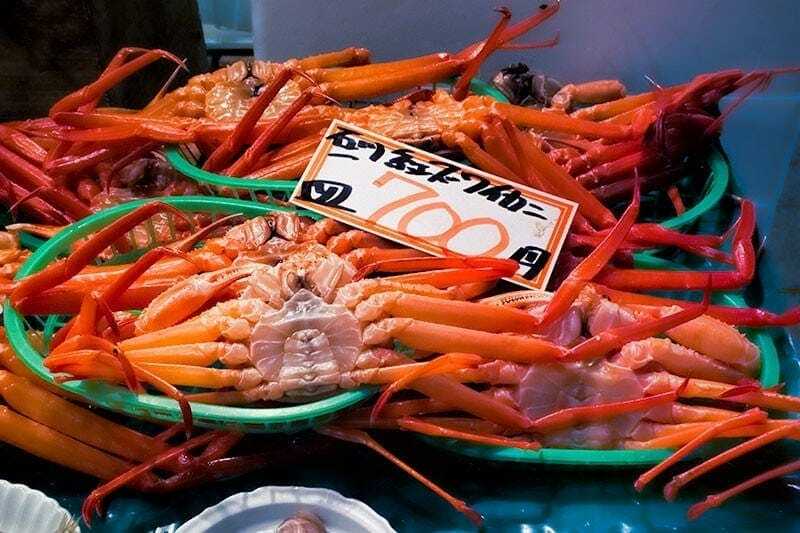 When you start with a good supply of fresh seafood you really can’t go wrong but it wasn’t until we started travelling in Japan that I found out just how many styles of sushi there are. It can take 10 years to train as a sushi chef over there and the most renowned sushi masters will tell you that you’ll never graduate, you’ll be learning until you die. Their talent is quite extraordinary not only creating a perfect balance on the plate but selecting and preparing individual pieces to suit the customer in front of them which must be eaten immediately for the best experience. Sushi is simply the combination of vinegared rice with other ingredients such as fish, vegetables and seaweed. It sounds so simple but it’s so much more than that too. In all its forms sushi is fresh and allows each of its ingredients to shine through which is why it’s so important to source the best produce when you make it at home. 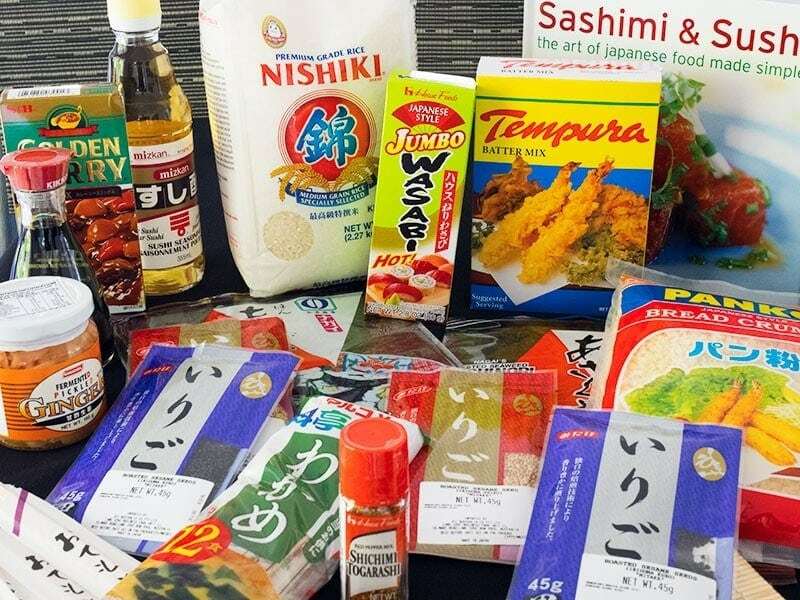 Unless you live in a major centre in Australia it can be really difficult to get hold of good quality authentic Japanese ingredients so I was thrilled recently when Greg from Naked Sushi Kits sent me their ‘Osaka’ kit to try out. It was well packed and delivered right to my door. Look at what’s in this box, it’s plenty to keep most people going for months and you can order ingredients individually to back fill your stock when you need to. I’m really enjoying the brand of rice included in the kit which holds its shape well for all different styles of sushi. I’ll also be making my own katsu kare with some of the other ingredients when the days get a bit cooler. In the meantime I can see some of those black and white sesame seeds and the Japanese 7 spice going into a home made furikake to dress up a simple bowl of rice, watch out for that recipe coming soon. Most of us are familar with one or more styles of sushi. 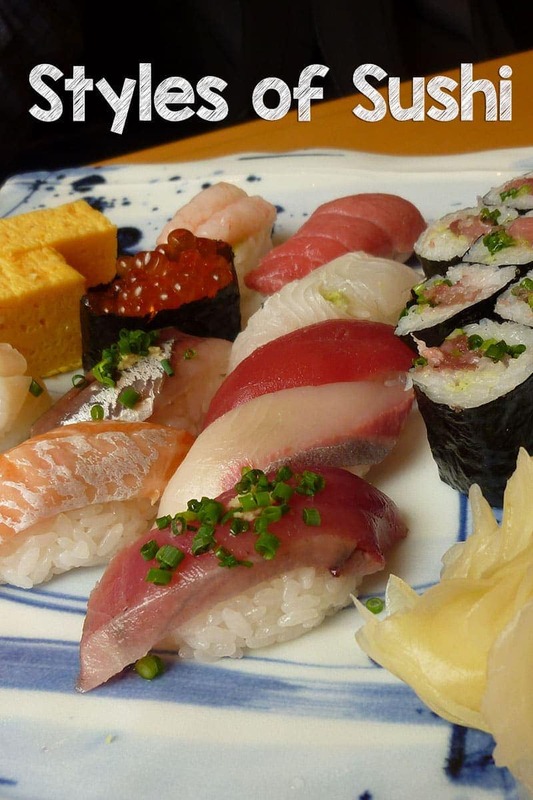 This article discusses 10 different styles of sushi that are popular in Japan. For each we’ll look at when it’s most likely to be eaten and how you can adapt it to make a simple version at home. I hope you enjoy and might be tempted to try a few of our favourites if you haven’t already. This is by far the most common type of sushi served in restaurants in Japan and my personal favourite. It’s very simple so having perfectly seasoned rice and the very freshest ingredients is absolutely essential. With the raw fish you wouldn’t pack this type into a bento that wasn’t going to be refrigerated. It’s also more likely to lose it’s shape being transported but at a good sushi restaurant this is usually what you’ll want to order. It’s also fairly easy to make at home a version at home if your knife skills are any good or you can buy fresh pre-cut sashimi. 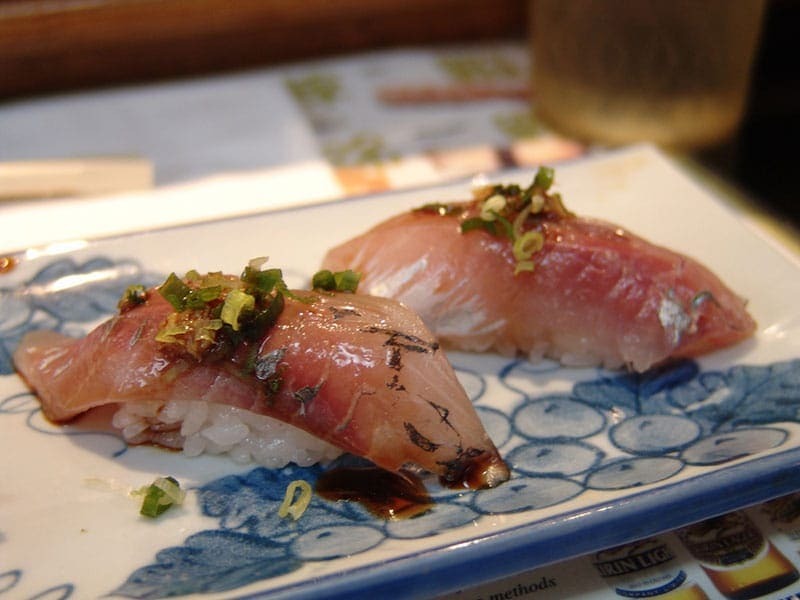 Nigiri simply means formed by clasping or clenching so the rice is formed by applying light pressure in one palm and shaping with two fingers of your other hand to create a block of rice. Add a smear of wasabi and layer on the fish or your preferred topping. Outside Japan the most common form of sushi is a modified form of rolled sushi. 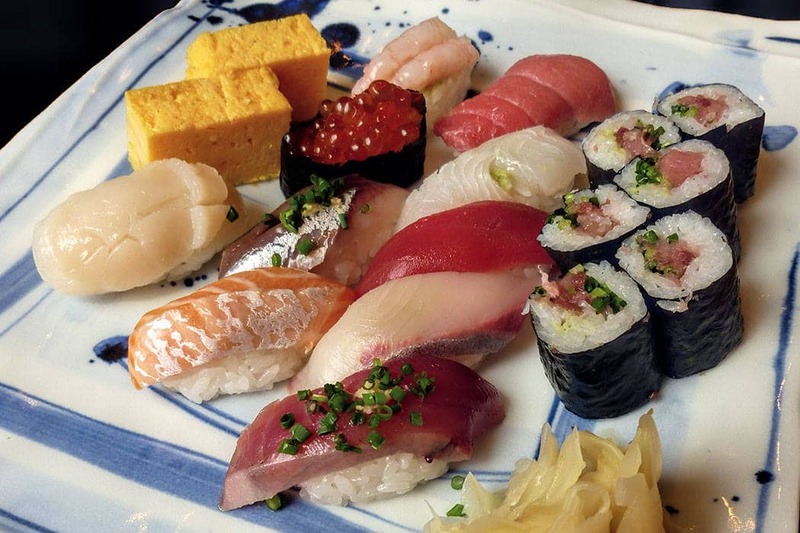 In Japan makizushi or rolled sushi comes in four broad types which relate to the how it’s rolled and the likely number of items used in its filling. Hosomaki Is the thin roll with dried seaweed (nori) on the outside. It likely contains only one or two fillings. This is delicious with a quality cut of tuna or salmon. 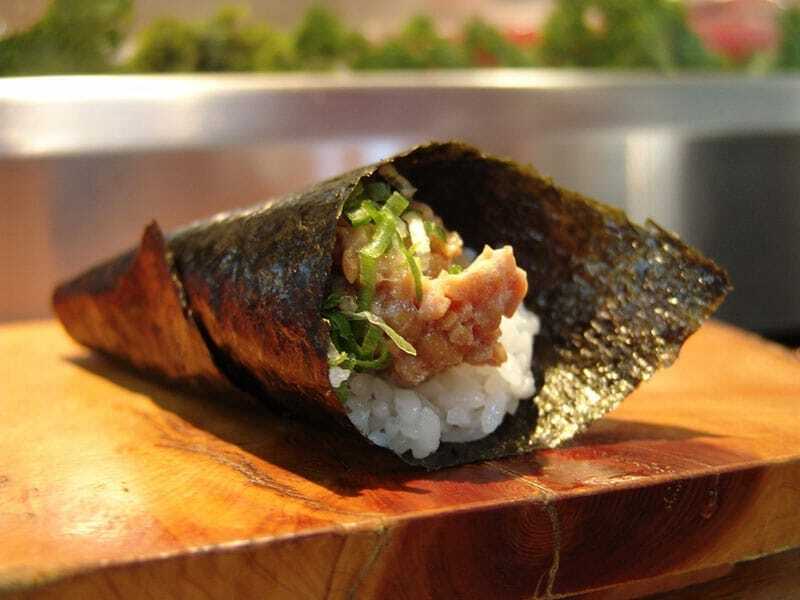 Chumaki Is the medium roll, again it is wrapped in nori and might have two or three fillings. Outside Japan this roll is the most familiar type we see. Futomaki is the large roll wrapped in nori with a number of different fillings. This is less common, the only time I recall seeing it sold in Japan was the special ehoumaki, a roll with 7 ingredients that is eaten at Setsubun, a festival in early February. Uramaki is the roll that is inside out, the outside is rice with the nori inside along with the other ingredients. This duck sushi dusted in shichimi togarashi below is a uramaki. Onigiri is less familiar outside Japan but it’s a very common lunch or snack in your bento box or picked up from the corner store. It’s easy to prepare and many Japanese wives and Mums will prepare them at home with various fillings and coating. Ones with salmon inside are really delicious and sometimes furikake, a Japanese rice seasoning in mixed with the rice before they are formed to add texture and interest. 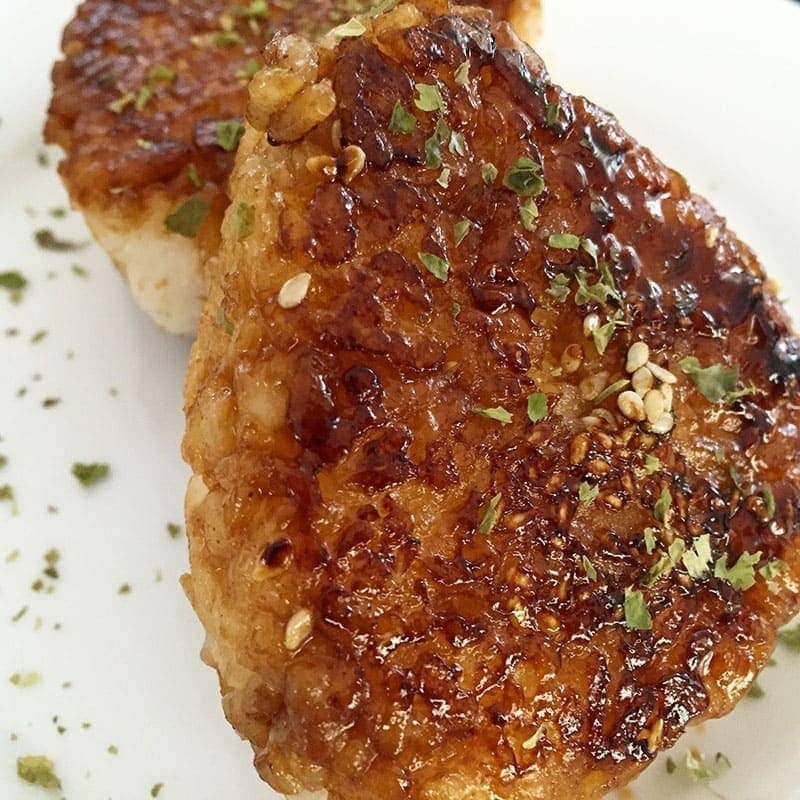 I love Yaki-onigiri, a version that is brushed with a sticky glaze and grilled. I often make these to eat cold for lunch, they hold together really well for a picnic and are perfectly designed for eating with your fingers. While it’s impolite in Japan to eat while walking around it’s quite OK to eat sushi with your hands. Even in high end sushi restaurants some patrons will choose fingers over chopsticks, it’s perfectly OK. When I first tried scattered sushi it was in a modern hotel restaurant in Hong Kong. I loved the flavour and presentation but assumed incorrectly that it was a style that had evolved in fusion style restaurants taking the best of east and west. It has in fact been around since the 18th century evolving around the same times as rolled sushi and is a popular family style dish prepared at home. It’s perhaps best envisioned as a rice salad where the seasoned rice is placed in the bowl and toppings are scattered or placed on top. Unlike a western rice salad it isn’t tossed or mixed. While traditional sushi ingredients including raw fish may be used it’s also made with cooked ingredients including crab, unagi (eel), omelette and vegetables. Some people will add tofu, lotus root or fish cake (kamaboko). Variations seem to be partly regional and partly based on what was available that day. The bowl below was from a restaurant in the canal area of Otaru on Japans northern island of Hokkaido. 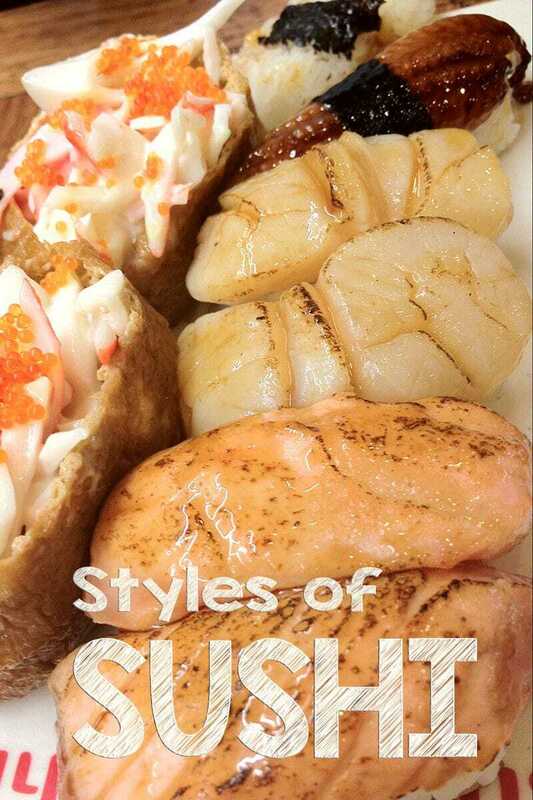 In Otaru beautiful fresh seafood is plentiful so it’s a great place to enjoy all styles of sushi. 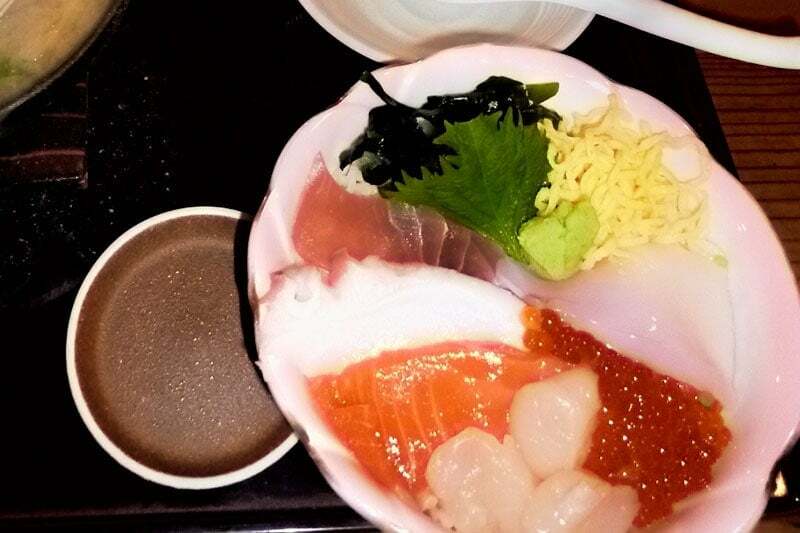 The type of chirashi with the raw seafood neatly placed on top is more familiarly known as the Tokyo (Edo) style. Chirashi sushi is often eaten on girls day (March 3rd) but you can enjoy it at any time of the year. Temari sushi is a ball shaped sushi and looks beautiful when done well but is a bit fiddly to make compared to other forms. It’s a style more often made at home rather than in restaurants. Again this is something you might make for girls day, little girls are bound to love this pretty presentation. You can top it with anything you want but salmon, tuna, prawn, octopus and omelette are common toppings. It’s also sometimes made more ‘kawaii’ with the use of embellishments. 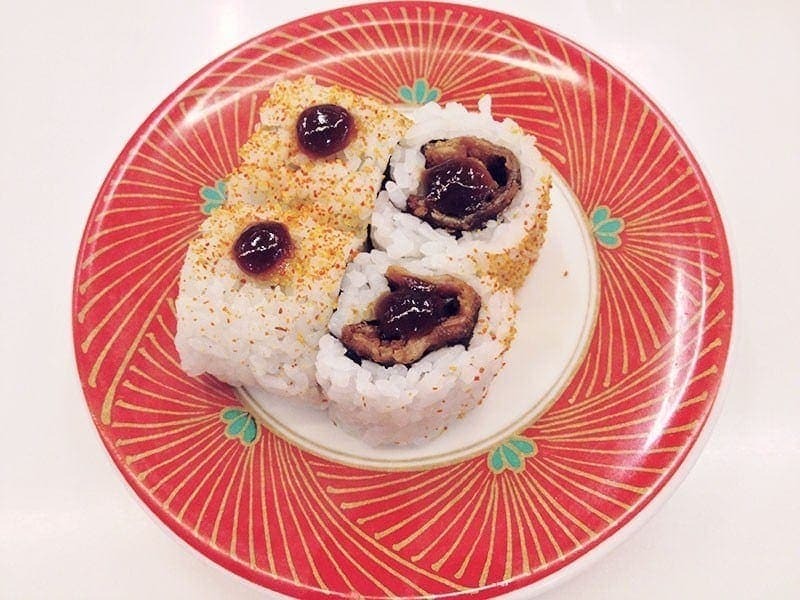 Technically I guess this is a rolled sushi but it’s uncommon in the west while it’s one of the most popular forms served in Japanese families. Like rolled sushi the nori sheet forms the outer wrapper but in this case it’s cut in half forming a rectangle rather than a square. Seasoned sushi rice is pressed on the inside, then topped with your choice of fish and vegetables and rolled up like an icecream come. Once you get the hang of it it’s really quick and easy and it’s really tasty. I had Inari Zushi for the first time near the Fushimi Inari shrine in Kyoto. It’s named after the Shinto god Inari so has a special affinity with that shrine. I developed a love for it even though I don’t think it looks as visually appealing as many other forms. 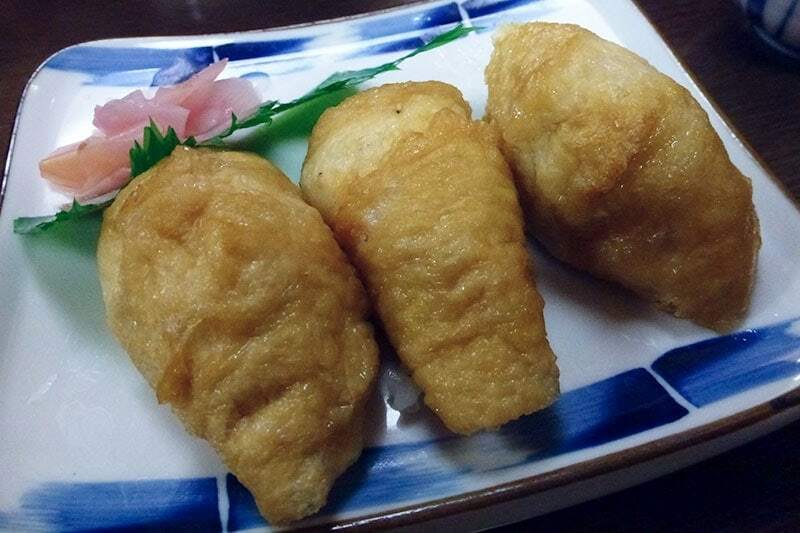 I’ve not made these myself yet as Inari zushi uses aburaage tofu pockets which are a sweetened seasoned deep fried tofu skin which can be hard to find here. The pockets I’ve had were stuffed with vinegared rice but you can include other fillings too. So there you have it 7 different forms of sushi popular in Japan today, that can in turn be varied in 100’s more ways by the choice of ingredients. It’s by no means an exhaustive list of every sushi available but they’re the ones I like best from those I’ve had the opportunity to try so far. What styles of sushi do you like best? Is it something you’d have a go at making at home? Disclaimer: Thanks to Naked Sushi Kits for supplying the ingredients used in creating some of the dishes on this page. I have never tried any myself, but my sister loves sushi. She is always talking about Chirashi sushi and how it’s her favorite, now I know what that is. It’s interesting that it doesn’t only have raw fish in this type though, I didn’t know you could cook something and still call it sushi. I learned a lot about sushi when visiting Japan. It’s interesting how it started out as a street food. My favorite has to be Nigiri. Have you learned doing them yourselves? You guys should do a video blog! I would definitely love to learn from you because I know your experiences are authentic. I absolutely love sushi. I didn’t realize how many different styles of sushi there were, it’s great that cleared it up in this story. I’ve eaten all these types except for the Temari style, I’ll have to find a Japanese friend to make it for me! I’d love to make it at home, maybe I’ll start with the Temaki or Chirashi style, seems to be the easiest. OMG I didn’t realise there were so many types of sushi. I don’t like sushi myself but that is because I have only had the common types. Looks like I need to go to Japan and explore the different delicious looking options! This makes me hungry as well as homesick…although not for anywhere in Asia. I come from Vancouver, BC where we have a huge Asian population which brings the added bonus of amazing food. I have never been to Japan but I have been told that much of the sushi in Vancouver rivals that of anywhere else in the world including Japan. Have you been to Vancouver and tried the sushi? Hi Sarah, I’ve not been to Vancouver but I’ll keep that in mind, I find cities with ethnic diversity have the best food and often some great fusion interpretations too. Genius post! Love this. I can’t wait to go to Japan to get acquainted with all of these!